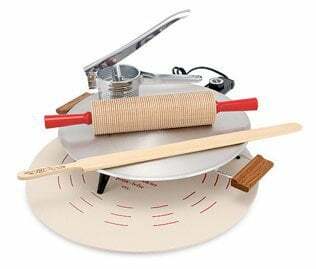 Lefse Time has gathered all the equipment you need to get started on making your own homemade lefse. 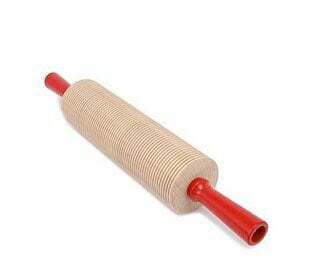 The traditional corrugated lefse rolling pin needed to make those authentic markings on your lefse rounds! 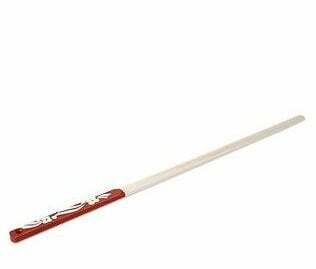 Beautiful lefse turning stick with red painted handle and rosemaling design, like the one Grandma used to use. Lefse pastry board and cloth set, the perfect tool for rolling out nice big sheets of paper thin lefse! This grill makes great lefse but also can make pancakes, grilled sandwiches or fry a burger. What we have done is put together the right lefse tools for starters, tradition makers or filling in the gap for the missing pieces. Find the right tool for making homemade lefse. From lefse rolling pins to potato peelers. Follow our favorite lefse recipe and instructions to make perfect lefse! We are so excited that you stopped by and hope that you find what you’re looking for! At Lefse Time we have gathered all things lefse. Our goal is to help you keep the lefse tradition alive. I’ve been making lefse my entire life and keep perfecting it year after year. Sharing our knowledge and helping you create a new lefse tradition is so rewarding. It’s heartwarming know that the next generation will be carrying on Grandma’s favorite lefse recipe and an ages-old Norwegian American tradition. Take a look around, we’ve got great lefse recipes, detailed instructions and some FAQs to help in your lefse endeavors. If you don’t find what you’re looking for, let us know so we can help. Orders over $250 qualify for FREE Shipping. Every Kit order comes with a free Lefse Making Instruction Book!